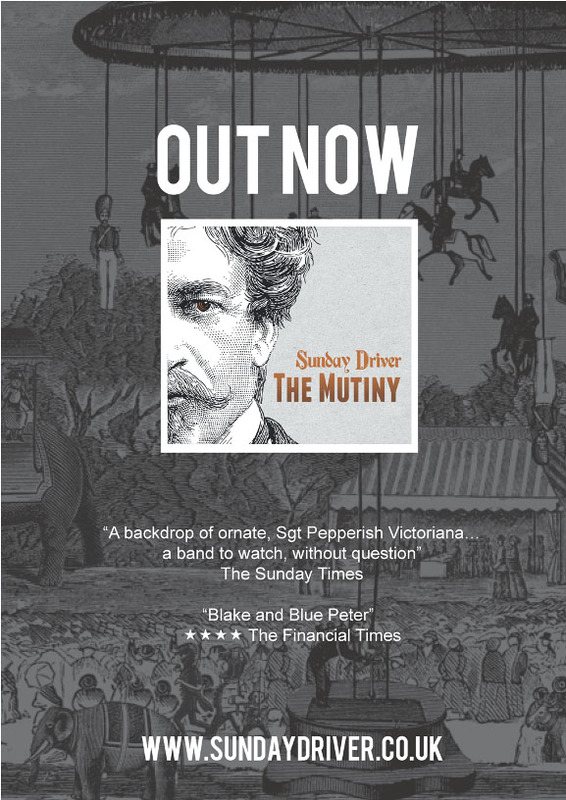 Sunday Driver – “The Mutiny” – Offer a Free Download to Brassgoggles Readers! Free Download to Brassgoggles Readers! It’s been three long years since the launch of Sunday Driver’s debut album ‘In the City of Dreadful Night’, a record that brought the band to international acclaim. Inspired by the backstreets of Kipling’s Calcutta and Gustav Dore’s dark visions of Victorian London the band created an album that was lauded by Fatea Magazine as, “A street festival distilled into music”. Since the release of ‘Dreadful Night, Sunday Driver have added drums to their line up and much more steam and sitar to their sound. Their song writing has reached new heights of creativity and the band members are extremely excited about The Mutiny! The Mutiny explores the Indian Rebellion of 1857 and the effect of the Raj across Indian society from every day citizens recruited to the British army to Ghandi. The band have worked with many members of the Brassgoggles forum, and are offering Brassgoggles first heads up that their single Concubine Waltz can be downloaded for free from bandcamp! We’d advise jumping over to their website and picking up all 13 killer tracks! They ship CDs to any corner of the world.